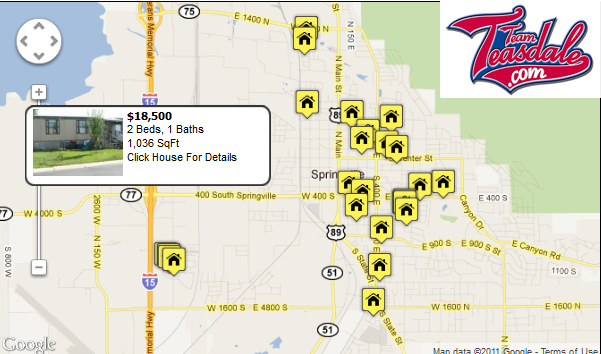 There are 188 different properties for sale in Springville, Utah. Most of these properties are residential, single family homes, but there are a few luxury condos or townhomes in Springville. Prices of Springville Real Estate have gone down over the last four years. Prices range from a low of $18,500 to $5,650,000. In 2013 houses that sold had a median sold price of $187,400. In the 3rd quarter of 2013 the average single family home that sold in Springville was $199,095. In the 3rd quarter of 2015 the average $204,097. Other real estate on the market in Springville includes 21 condos, 8 multi-unit buildings including duplexes, triplex, and fourplexes and other multi-family properties for sale. Request a daily list of Springville Utah homes for sale: List of Springville Utah Homes for Sale. If you have questions about buying or selling a home in Springville Utah contact a group of Utah County Realtors. If you need help Selling a home in Springville Utah let Team Teasdale Realty give you a free comparative market analysis (CMA). There are new and old homes alike in Springville. Many of the major neighborhoods and developments have names like Hobble Creek, Jessies Brook Harvest Meadows, Hidden Hollow, Crystal Springs, Sunrise Ridge, Kolob Subdivision, Cherrington Heights, Camelot Village, East Hills, Upper Whittemore, Maplet Leaf Estates, Spring Cove, Hunters Valley, Springville Heights, Halls Easten Hills, Brookwood Estates, Hobblecreek Haven, Stonebury Estates, Kelly's Grove, Mt. Vista, Green Acres, Killpack, Brookside, Evergreen, Pheasant Valley, Greensprings, Heward, Walnut Glen and Quail Hollow. It is definitely a buyers market in Springville. In the third quarter of 2012, 103 residential properties listed on the MLS were sold. The average MLS listing has been on the market for a hundred days. Home prices may drop a little more as there are many motivated sellers, short sales and bank foreclosures in Springville. The bottom is difficult to predict. Large real estate discounts can especially be found on the high end, land, and spec homes as many properties are entering default and are in danger of foreclosure and or short sale. The majority of Springville homes for sale are sold by Realtors and are listed on the Multiple Listing Service. Some of the best bank foreclosures are the HUD homes, Fannie Mae, Freddie Mac. Would you like to search bank foreclosures and short sales only in Springville? 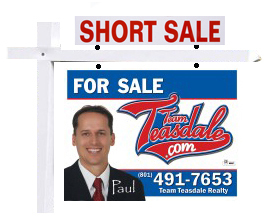 The links below provide lists of only Short Sales and Bank Foreclosures in the Springville area.